Belleville, despite its roughtough exterior, is home to some real gems. 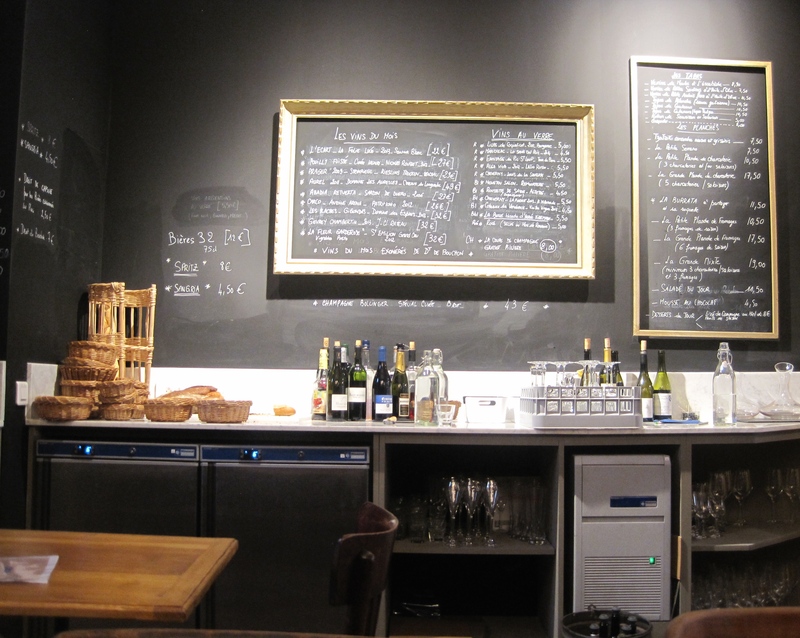 There’s Aux Folies, with cheap beer and terrace that extends onto the street, offering some of Paris’s best people-watching; or Ravioli Chinois Nord-Est, a no-frills dumpling joint where you can feast on ten steaming morsels for 5€ (or 100 frozen for a mere 20€). But I never really associated Belleville with wine. At only six months old, La Cave de Belleville is already making an impression in the neighbourhood. The midnight blue exterior enhances the bright space — a former leather shop —, showing off a colourful spectrum of magenta and blackberry. Started by three friends, united in their dedication for a career change (François, who I met, was a pharmacist), La Cave de Belleville is bursting with passion. Wine buffs will be giddy at the selection, with grapes divided into French regions, and surrounding European countries such as Portugal, Greece, Italy and Spain. 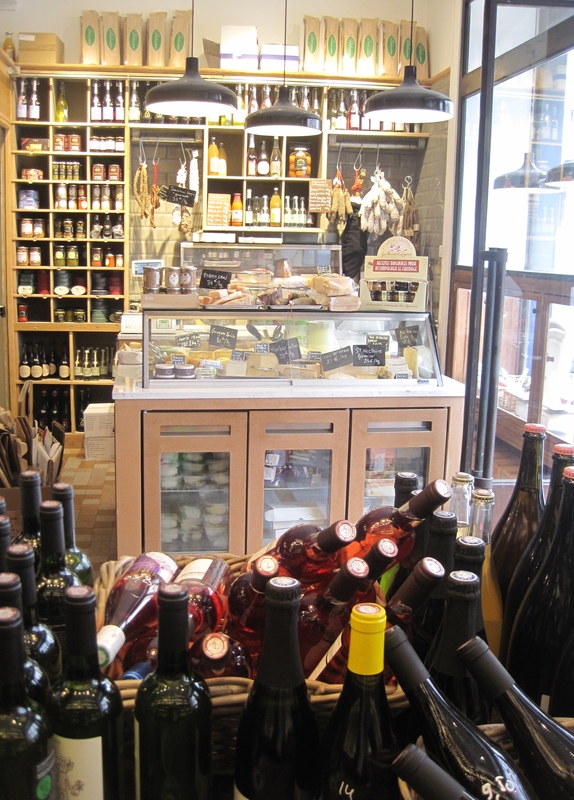 The front half is comprised of the cave and épicerie (hunks of Parmesan, 18-month aged Comté, saucisson, chutneys) leaving the larger end as a bar and dining area. 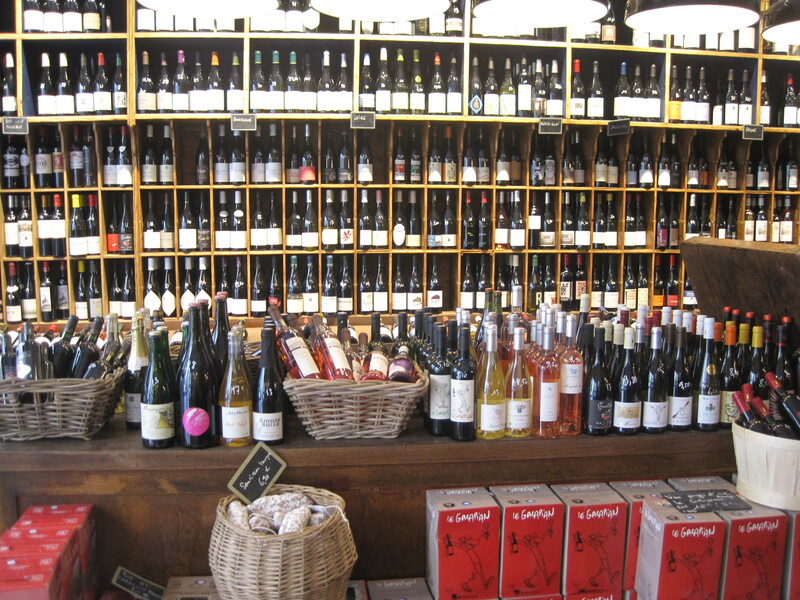 If your browsing leads to sampling, the bar serves the shop’s choice grapes; available by the bottle (high quality, without the restaurant mark-up), or the glass from a very reasonable 5€. La Cave has a confident menu. Choose from a verrine (jar) of mussels in Escabeche sauce, small sardines or anchovies; a tapas of scallops, calamari and squid; boards of Serrano ham and mixed charcuterie, or a whole Burrata to share. It’s top-notch picking food, chosen with as much thought as the wine. 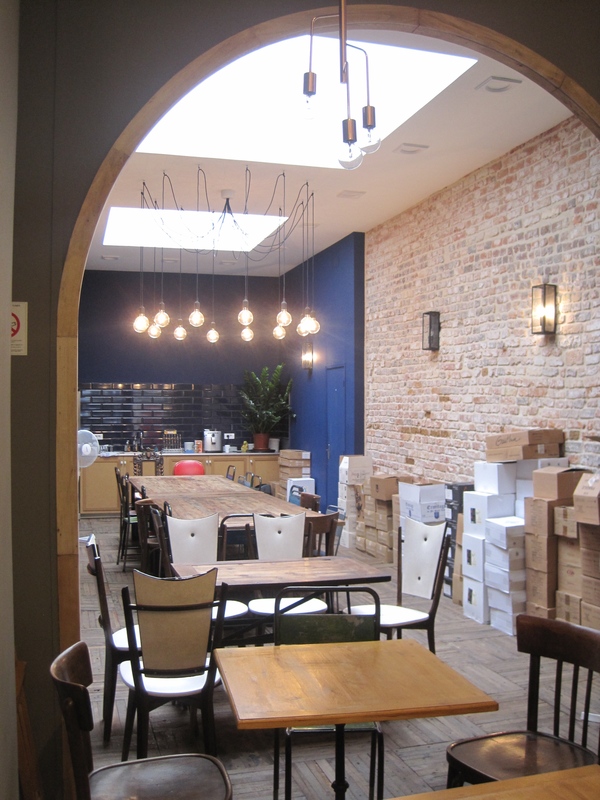 The back of the bar also plays host to monthly wine tastings. Organic wine, a tour across the Rhône region, to Champagnes and rosé, are just some of the events on offer in 2015-2016. The décor is charmingly haphazard, with mismatched chairs and modern lighting; there’s no pretention or wine-snobbery here — you’ll feel right at home within a matter of minutes. As I told François, La Cave de Belleville is exactly the kind of place I’d like to open one day. Until then, I’m happy to have a glass or two in the 19th‘s new favourite.